On the hunt for a “chiropractor near me” after a bad fall has injured your back or too many days at the office have left your neck stiff as can be? You may be surprised at just how much a chiropractor in Las Cruces may be able to help you — with more than just your back. Here at Smith Wellness, we aim to be who you think of when you are experiencing any type of pain related to your spine, be it neck tension, lower back pain, or muscle tension. Dr. Smith is an experienced, qualified back pain doctor with an impressive background in sports injuries and medicine, soft tissue injuries, and functional rehabilitation. Stop living your life in pain — contact us today to schedule your chiropractic adjustment. Wait, what? A chiropractor can help with leg pain? Pain in your knees, feet, or ankles can severely decrease your quality of life. All of a sudden it’s unenjoyable to do what used to be your favorite hobbies or you can’t run around with your kids or grandkids anymore. Our chiropractor in Las Cruces can help to reduce pain, decrease inflammation, improve range of motion, improve flexibility, and increase muscle tone and strength by correcting misalignments in the joints and spine. Chiropractic care is certainly not just for upper back pain. The lower back — or lumbar spine — can experience a lot of pain from just a few wrong moves while playing sports, an auto accident, or even just from sitting poorly at a desk all day. And if you’ve ever experienced pain in your lower back, then you know just how greatly it can affect your day-to-day life. By working with a chiropractor for a lower back pain treatment, you can take back your life. This is a given, of course. 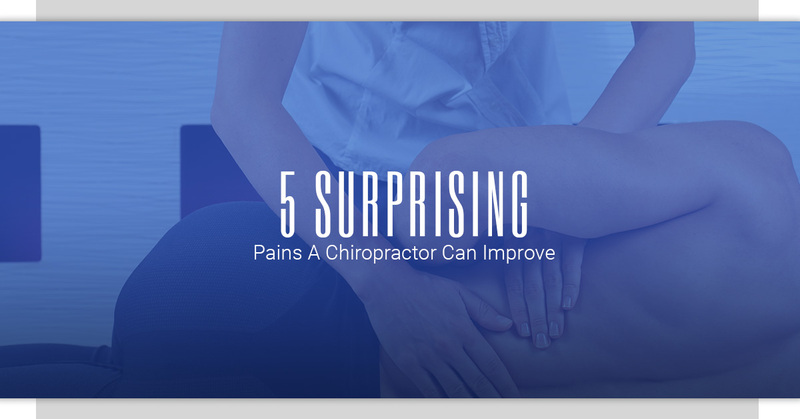 After all, chiropractors are often known as back pain doctors. Chiropractors study the back and spine extensively, learning how to relieve pain and improve function — helping the body heal itself — through manipulating the body’s alignment. Not many people think of neck tension or pain as being treatable by a chiropractor, but our neck is also known as our cervical spine — it’s a continuation of our spine, which chiropractors have dedicated their lives to studying. The cervical spine supports the full weight of your head and is extremely flexible, but this flexibility can lead to increased chances of pain and injury. Your chiropractor can help with adjustments to make your neck comfortable, capable, and strong again. Spinal manipulation is proven to be an effective treatment for both tension headaches and headaches that originate in your neck. If you suffer from chronic headaches or even occasional headaches in the same location, then a chiropractor could help relieve your pain. Whether you have neck tension, muscle tension, lower back pain, lower leg pain, or any other pain related to your spine, Smith Wellness can help. Stop searching for a “chiropractor near me” — you’ve found the family chiropractic you need for spinal health. Contact us today to get started! We serve clients throughout Truth or Consequences, Lordsburg, El Paso, Alamogordo, and Las Cruces.